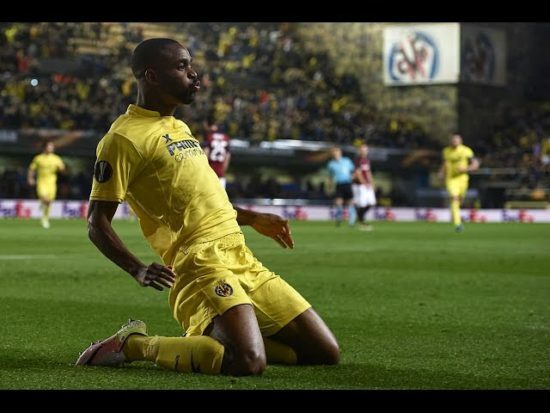 According to Talksport, Tottenham have been linked with a move for Villarreal Striker Cedric Bakambu and could make a big money move during the summer for the 26-year-old. Tottenham are in need of a supporting striker to replace Kane, the summer signing of Spanish Front man Fernando Llorente has not been a success so far, Victor Janssen signed from Ajax has flopped and has been pushed out on loan at Fenerbache during the off summer, he has been tipped to leave the club permanently. This has led to another search for a top marksman who can replace or provide a back-up to Kane, who has been linked with a summer move to Real Madrid and the club feels that Bakambu fits the bill. The hit-man has been in impressive form so far this season scoring 14 times in just 21 games for the La Liga side, this form has not gone unnoticed by the top clubs, with rumours swirling around that a big money move could be on the cards for the Congolese international. Tottenham Hotspur were also linked with a move for German prospect Leon Goretska, however according to reports from Germany, it appears the 22-year-old has opted to join Liverpool ahead of the Londoners.